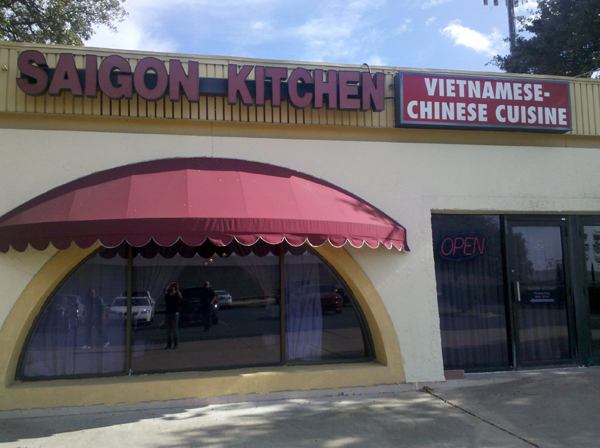 (Forgive me for the poor photos - I only had my phone camera to use) Saigon Kitchen was one of the places I ate at while in Texas for my cousin's wedding. It is one of the many restaurants that his friend's family owns, so we were obliged to eat here after the rehearsal. It seems like a place that would be easy to miss because it is between a bunch of hotels off of I-35 (and short). The inside was unassuming and generally pretty bare. The menu was quite lengthy though so there were quite a lot to choose from. I started off with a Vietnamese iced coffee (pretty weak compared to other ones I've had) and a bowl of hot & sour soup. The soup was pretty good. My brother and I shared dishes family style with rice. 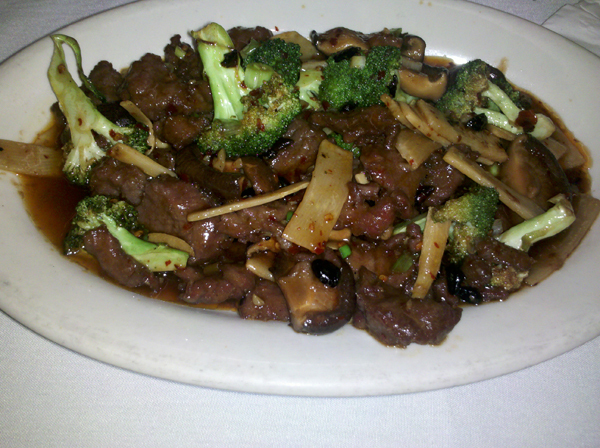 I ordered the Hunan beef which was a plate of beef, bamboo shoots, broccoli, black beans, and Shiitake mushrooms in a brown spicy sauce. I really wanted spiciness that day because I had a killer headache that I wanted to clear with heat. The beef was pretty good but the entire dish wasn't anything special. It could have done with less grease actually. My brother got the "Miracle shrimp," which was their name for honey walnut shrimp. 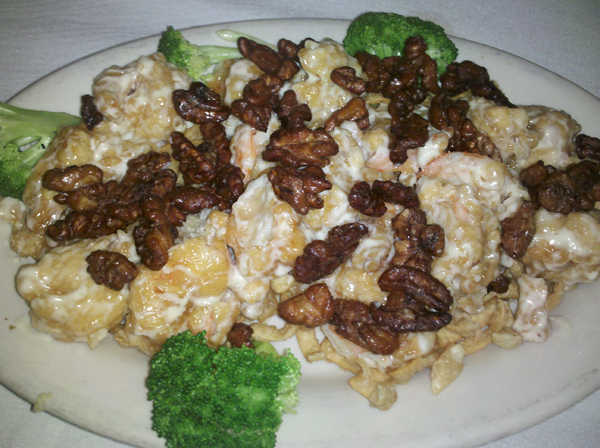 It's basically a common dish in Chinese restaurants that is made up of mayonnaise-sauced fried shrimp and candied walnuts. I thought that their version was pretty good actually but again, nothing awe-inducing. The walnuts were good to munch on, and the shrimp wasn't overly coated with mayonnaise. I'm not sure how other Chinese or Vietnamese restaurants in Austin compare but since I've been to a LOT of Chinese and Vietnamese restaurants, I have fairly high comparison points. It was a decent place to eat for what it was, and the "typical" dishes were all there.